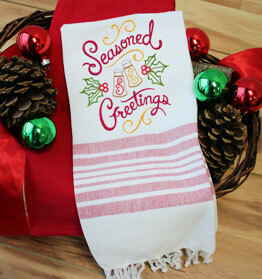 Brew holiday spirit with all new Christmas tea towel designs! 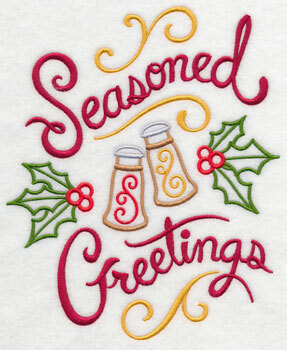 Give your home a festive update with new holiday designs that are perfect for the kitchen. 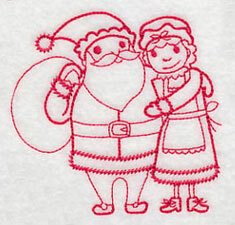 Christmas medleys featuring your favorite holiday motifs (think Santa, toys, cookies, and more!) 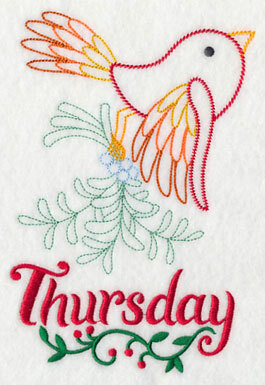 are available now, plus redwork recipes, festive Days of the Week birds, and new kitchen sayings! 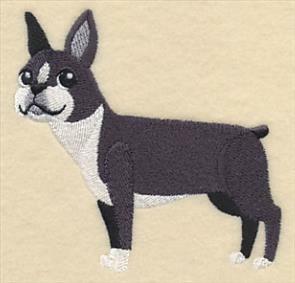 Add them to your next set of linen or tea towels (or let them pull double duty as adornments for placemats, tablecloths, napkins, and more!). 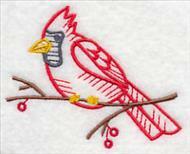 Get more hints on stitching on tea towels with our Fabrics 101 article here, or by watching our YouTube video here. 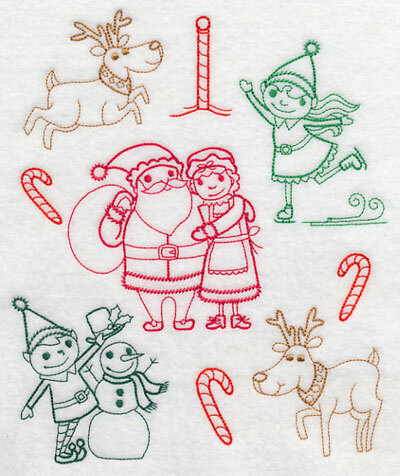 Scroll down to see these designs full of Christmas flavor! 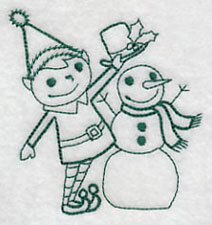 a set of festive tea towels. 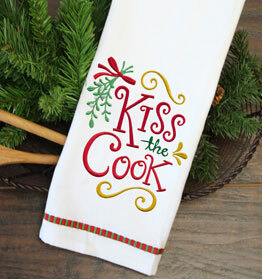 Add a tasty Christmas saying to your next tea towel project with these fun and flavorful designs. 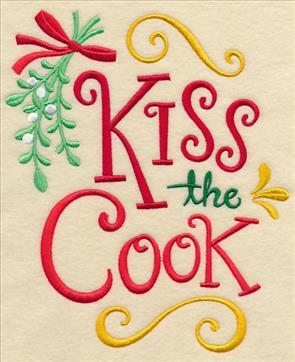 Twists on classic kitchen mottos make the designs extra festive. 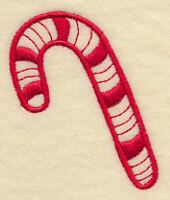 Here, mistletoe gives "kiss the cook" a whole new meaning; candy canes show the sweetness of the season. 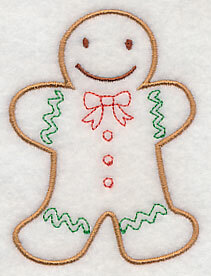 6.67" x 7.80" and 5.83" x 6.82"
6.76" x 7.82" and 5.87" x 6.79"
4.86" x 5.62" and 3.36" x 3.88"
Christmas is the time for cookies, candy, and goodies galore! 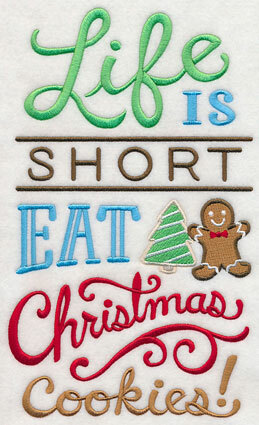 Stitch a tea towel that reflects this delicious tradition with a "Life is Short, Eat Christmas Cookies" or "Christmas is Sweet" design. 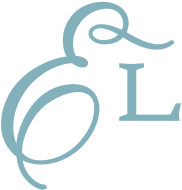 6.89" x 11.55" and 5.60" x 9.40"
4.65" x 7.80" and 4.10" x 6.87"
6.85" x 9.30" and 5.76" x 7.81"
4.85" x 6.58" and 2.86" x 3.88"
Add a little spice to your dining decor with seasoning and thyme-inspired designs. 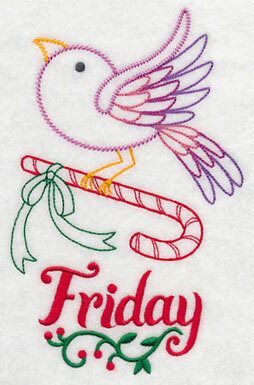 The twists on these holiday sayings make them especially terrific for kitchen projects. 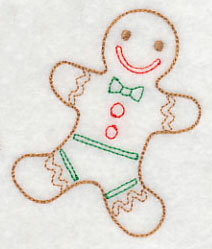 6.51" x 7.80" and 5.83" x 6.99"
7.80" x 7.49" and 7.19" x 6.90"
6.10" x 5.85" and 5.06" x 4.86"
These funny -- or rather punny -- Christmas sayings add a hint of humor to your kitchen decor. 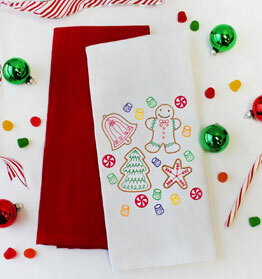 Blank tea towels with red and green embellishments add an extra punch of color to your project. 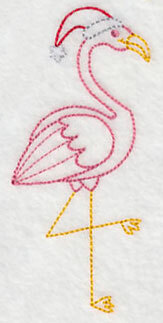 Learn more about stitching on tea towels here. 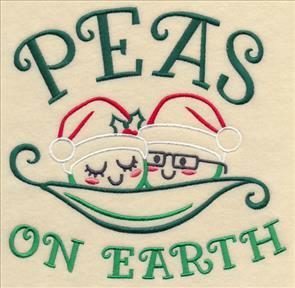 Cook up Christmas fun with "Berry Christmas to You" and "Peas on Earth" embroidery designs. 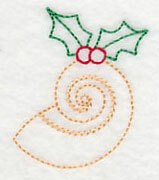 Stitch on tea towels for your own kitchen, or make a set to give to friends this holiday season. 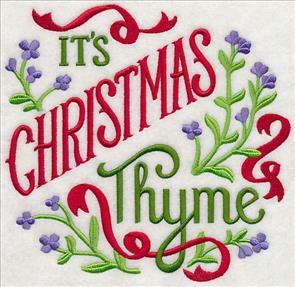 6.91" x 7.64" and 5.86" x 6.47"
7.81" x 7.63" and 7.03" x 6.87"
6.01" x 5.87" and 4.97" x 4.86"
Bright and colorful vintage-style birds carry classic Christmas elements in these Days of the Week designs. 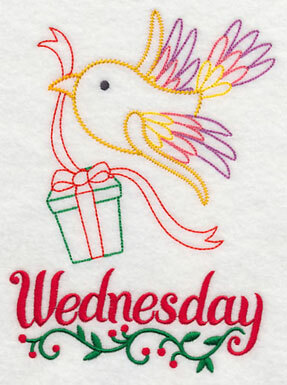 They're the perfect way to share the Christmas spirit all week long! 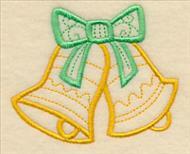 4.85" x 6.63" and 2.83" x 3.87"
Vintage-style designs are reminiscent of hand embroidery, but without the hard work. 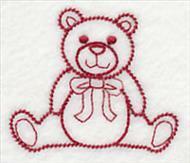 The light and airy stitches are perfect additions to smooth and neutral fabrics, such as quilter's cotton, linens, denim, and canvas. 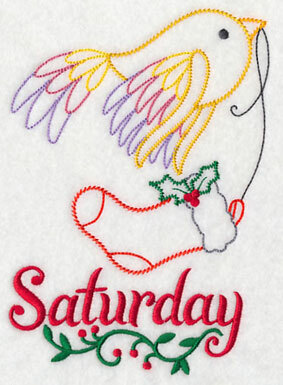 4.85" x 6.80" and 2.76" x 3.87"
Each of the birds in these Days of the Week embroidery designs are carrying a special Christmas gift to add extra Christmas spirit to your home. 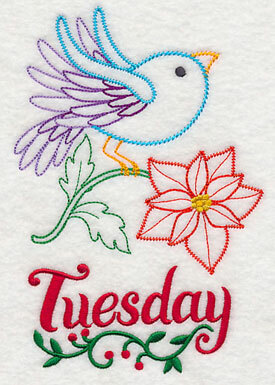 The text, vines, and berries at the bottom are all on separate color stops, so you can easily omit them and use the birds on other holiday projects, too. 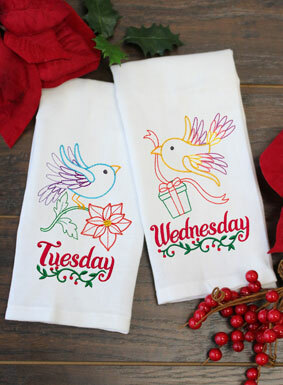 4.25" x 6.85" and 2.39" x 3.87"
These Days of the Week designs are perfect for stitching on tea towels. 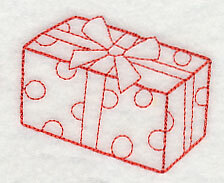 Get more hints on stitching on tea towels with our Fabrics 101 article here, or by watching our YouTube video here. 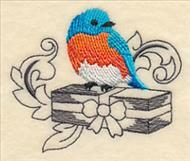 4.72" x 6.85" and 2.65" x 3.87"
These cute Christmas birds will have you clamoring for the holidays! 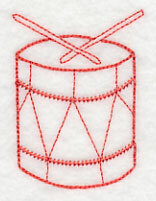 Get the whole set of designs in a design pack. 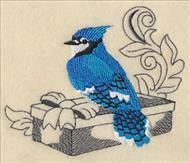 Vibrant birds land on light, sketch-style presents in this embroidery design. 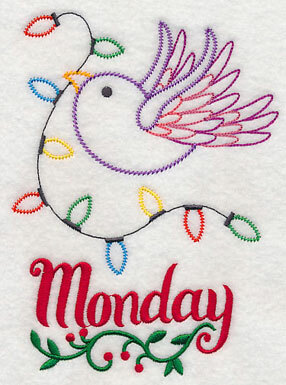 Each of the winter feathered friends are perfect for stitching a bright and colorful Christmas design. 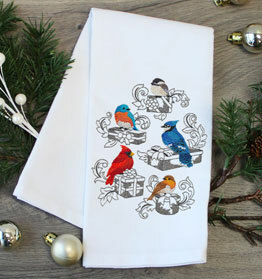 6.90" x 8.56" and 6.29" x 7.80" and 5.85" x 7.26" and 4.85" x 6.02"
Pairing light, sketch-style presents and heavier, colorful birds gives this collage design the perfect look for tea towels. 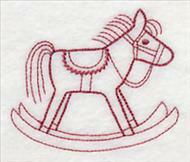 Learn more about stitching on tea towels here, or by watching our YouTube video right here. 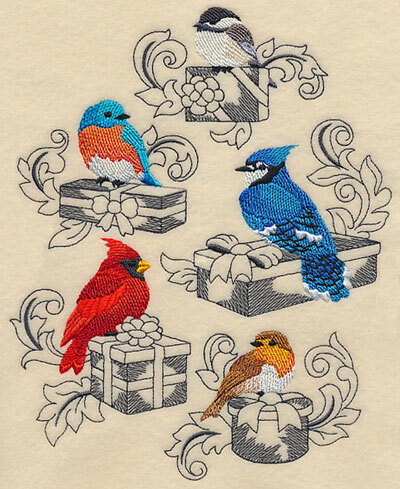 Each of the bird and present pairings have been separated out of the collage above, and are available for individual purchase. 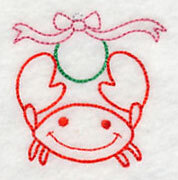 They're terrific complements to the medley design, and would be fabulous added to pockets, napkins, and more. 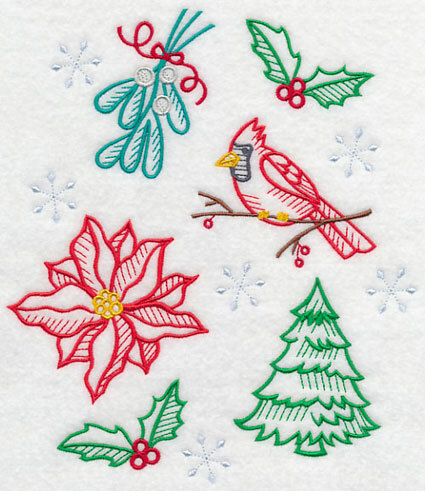 4.16" x 3.58" and 2.92" x 2.52"
3.56" x 2.73" and 2.50" x 1.92"
Classic all-natural Christmas motifs such as mistletoe, holly and berries, a cardinal, and more come together in this beautiful winter collage. 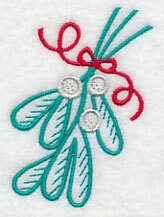 The light snowflakes in the background evoke a look reminiscent of a snowy winter scene. 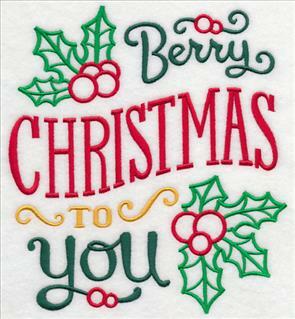 6.80" x 7.79" and 5.84" x 6.69" and 4.83" x 5.53"
Single designs featuring each of the festive elements from the Christmas collage have been separated from the above design, and are available for individual purchase! 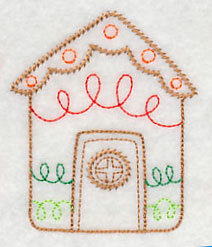 Use to complement the collage design, or as stand-alone stitchings. 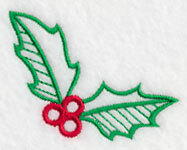 3.12" x 2.51" and 2.19" x 1.76"
2.49" x 3.01" and 1.74" x 2.09"
The Christmas accents in this medley are merry and bright, and ready to add holiday spirit to your home! 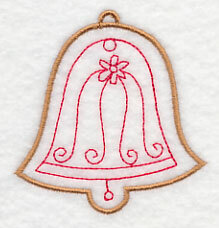 The delicate detailing adds a chic, sophisticated look to the design. 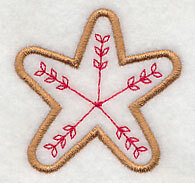 6.87" x 7.82" and 5.87" x 6.68" and 4.89" x 5.56"
Each of the Christmas elements has been created singly, and are available for individual purchase, too. 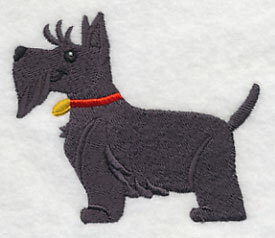 Use them together with the medley design: pair a placemat and napkin, or an apron feature and pocket accent! 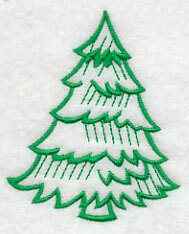 2.43" x 2.73" and 1.51" x 1.69"
3.07" x 2.52" and 1.96" x 1.61"
2.14" x 2.52" and 1.28" x 1.51"
Prepare for this year's Christmas cookie exchange with a tea towel that features the best of the season. 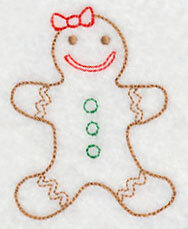 Gingerbread, cookie cutouts, and candy are the perfect sweet treats to eat this time of year. 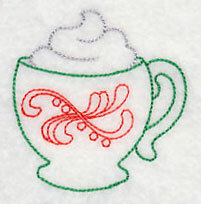 6.90" x 8.58" and 6.29" x 7.81" and 5.86" x 7.28" and 4.85" x 6.03"
For additional tips and tricks for embroidering on tea towels, see our Fabrics 101 article. 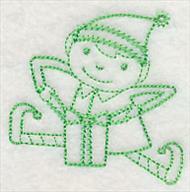 It's full of instructions and tidbits to help you master embroidering on this type of towel. 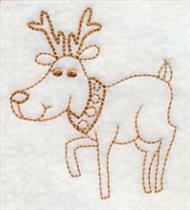 Or, you can learn more about stitching on tea towels by watching our YouTube video here. 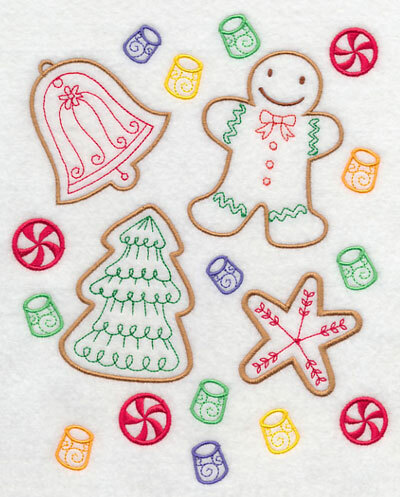 Each of the four different types of cookies have been separated from the collage design above and are ready to be stitched alone! 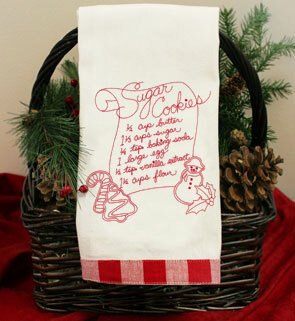 Use along the border of a tablecloth, or on the wrapping for any fabric Christmas cookie bags. 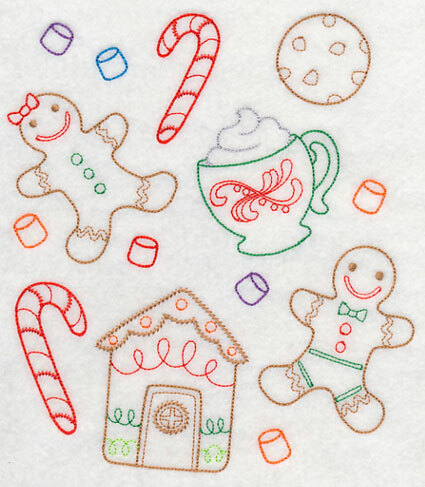 2.50" x 3.30" and 1.76" x 2.32"
2.35" x 2.37" and 1.59" x 1.61"
Add a sweet look to your holiday tea towels with a medley of tasty gingerbread creations and decorations. 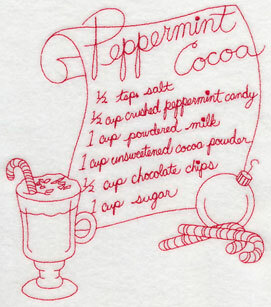 A cup of hot cocoa is the perfect sipper when putting together a gingerbread house made of gumdrops and candy canes. 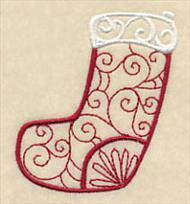 6.83" x 7.81" and 5.84" x 6.68" and 4.82" x 5.51"
These delicious designs are also available for individual purchase. 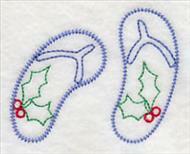 Use them to add holiday spirit to your home. 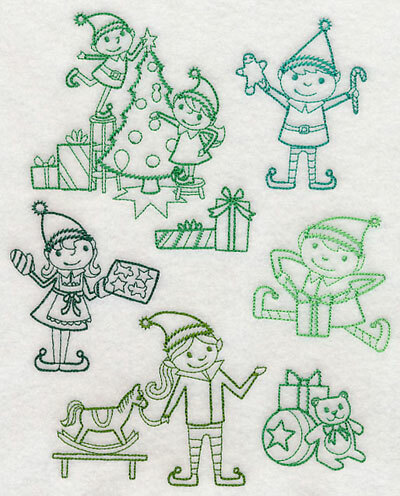 2.49" x 3.13" and 1.69" x 2.12"
2.74" x 3.22" and 1.89" x 2.22"
Take a trip to the North Pole with this collage design featuring all your favorite friends. 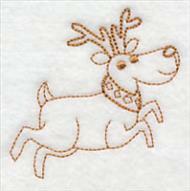 Reindeer, elves, and Santa and Mrs. Claus are all celebrating the joy and happiness of the Christmas season. 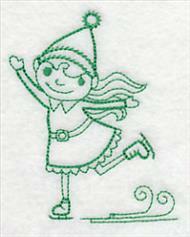 6.90" x 8.29" and 6.51" x 7.81" and 5.88" x 7.06" and 4.90" x 5.87"
Each of these North Pole characters are also available for individual purchase. 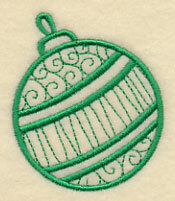 Use in conjunction with the medley design above, or pick your favorite for a separate project. 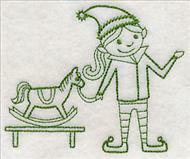 2.72" x 3.38" and 1.92" x 2.40"
2.89" x 3.06" and 2.05" x 2.18"
Varying shades of green show these adorable elves hard at work. 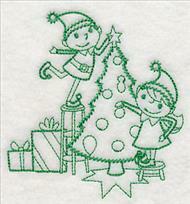 Whether they're trimming the tree, baking Christmas cookies, or wrapping a gift, they're all helping Santa prepare for Christmas Eve! 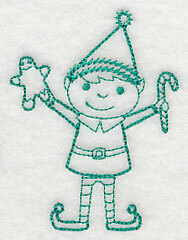 6.90" x 8.48" and 6.37" x 7.82" and 5.85" x 7.20" and 4.85" x 5.97"
Pick your favorite elf to stitch alone, or use them all! 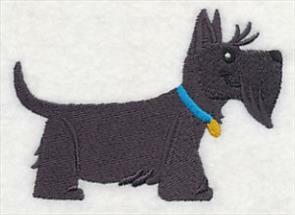 They're a great way to continue the fun found in the collage design above. 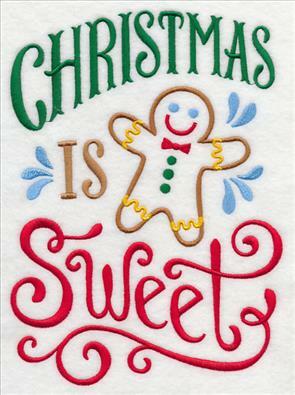 2.70" x 3.08" and 1.90" x 2.18"
2.07" x 1.99" and 1.32" x 1.28"
Santa's toy shop is filled to the brim with toys for the good little boys and girls across the globe. 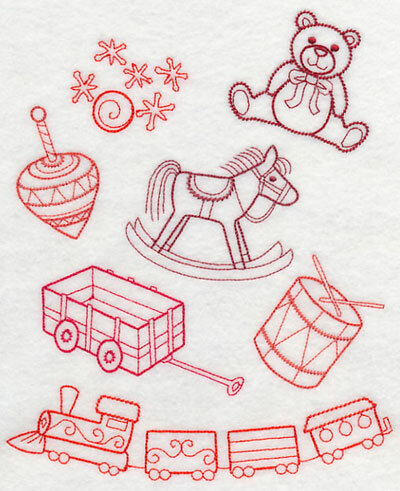 This collage design features all their favorites, including a teddy bear, spinning top, and rocking horse. 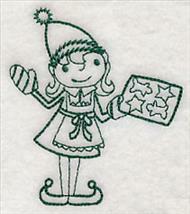 6.90" x 8.34" and 6.47" x 7.82" and 5.85" x 7.08" and 4.85" x 5.87"
These toys have been separated from the above design and are available for individual purchase. 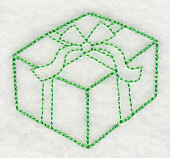 2.70" x 2.30" and 1.84" x 1.57"
1.85" x 2.51" and 1.12" x 1.52"
6.80" x 1.70" and 3.89" x 0.97"
Gifts, galore! 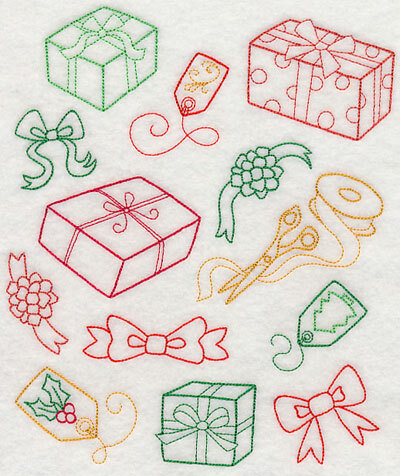 Wrapped presents, ribbon, gift tags, and more fill this Christmas collage with festive holiday spirit. 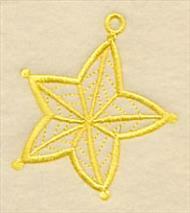 The light, vintage-style stitching makes it the perfect choice for embellishing a tea towel. 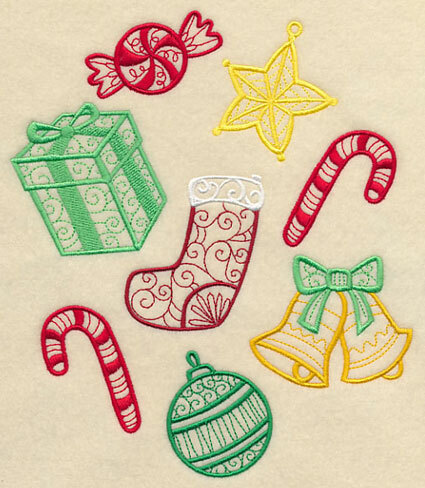 6.91" x 8.30" and 6.50" x 7.81" and 5.86" x 7.04" and 4.86" x 5.84"
Each of the gifts has been stitched singly and is available for individual purchase in two different sizes. 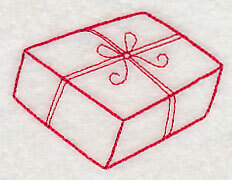 Use with the gift medley above, or use all on their own! 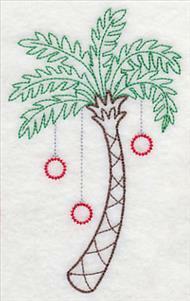 2.90" x 2.36" and 1.86" x 1.51"
1.96" x 1.66" and 1.26" x 1.06"
Celebrate Christmas in the tropics with a warm weather holiday medley. 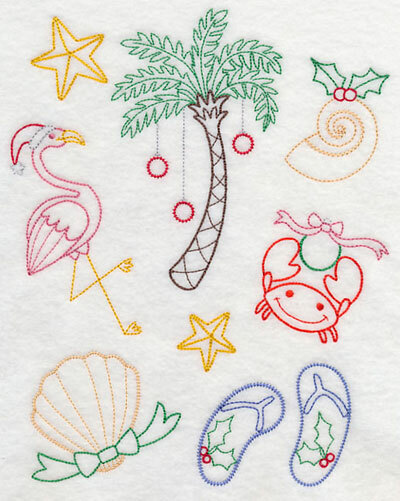 Seashells, a palm tree, a flamingo, and more get a festive Christmas makeover in this design. 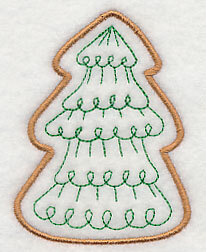 6.89" x 8.66" and 6.23" x 7.83" and 5.69" x 7.16" and 4.85" x 6.11"
Each of the warm weather accents has a specific Christmas adornment, whether it's a Santa hat or a couple of ornaments. 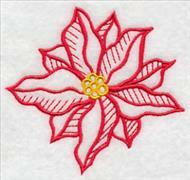 Stitch these additional designs alone, or use in conjunction with the design above. 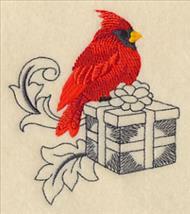 1.93" x 4.28" and 1.35" x 3.01"
2.82" x 2.25" and 2.01" x 1.60"
Showcase your favorite Christmas recipes with these fabulous redwork designs! 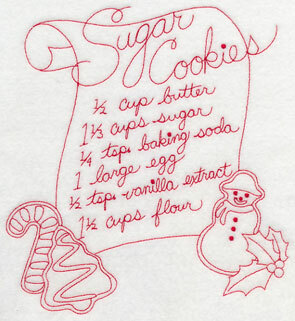 Basic ingredients for making sugar cookies and a peppermint cocoa mix are terrific embellishments for tea towels (or quilts, wall hangings, and table linens, too!). 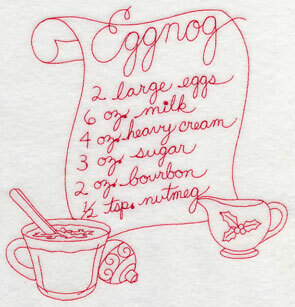 7.27" x 7.80" and 6.85" x 7.35"
Eggnog is always a favorite Christmas drink made from heavy cream with a splash of bourbon, while peppermint cocoa mix quickly transforms into a fabulously rich and chocolaty winter beverage. 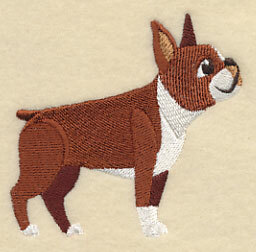 Stitch these recipes in a flash thanks to the redwork style. 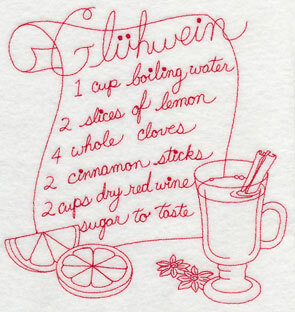 7.56" x 7.80" and 6.85" x 7.06"
6.85" x 7.70" and 5.85" x 6.58" and 4.85" x 5.45"
Gluhwein, a type of mulled wine from Germany, is a classic beverage during the holidays. 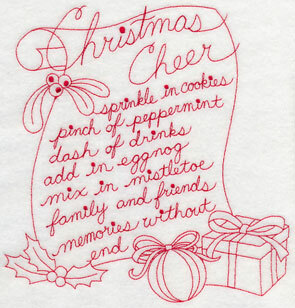 Or, turn a traditional recipe on its nose with this ingredient list for "Christmas Cheer". 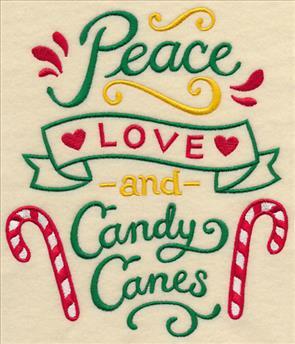 All you need are a few drinks and treats, mistletoe, family and friends, and fabulous memories! 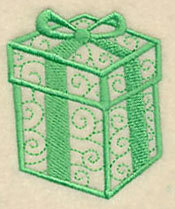 7.47" x 7.80" and 6.85" x 7.15"
7.52" x 7.80" and 6.85" x 7.10"
5.85" x 6.07" and 4.85" x 5.03"
At Embroidery Library, we love dogs of all shapes and sizes! 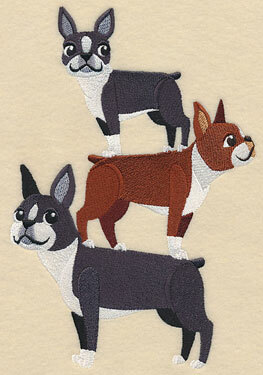 Faye and Terry requested stacks of their favorite pups, and we were happy to oblige. 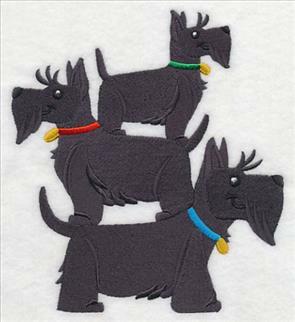 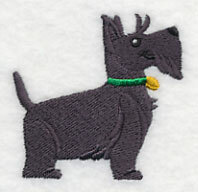 Here, towering trios of Scottish Terriers and Boston Terriers are ready to be stitched on tote bags, towels, aprons, and more. 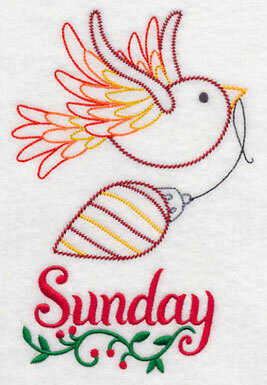 Thanks for your suggestions! 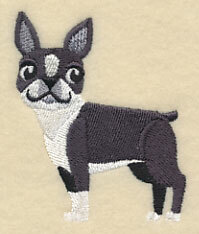 5.86" x 8.64" and 4.65" x 6.86"
Each of the playful pups are also available singly. 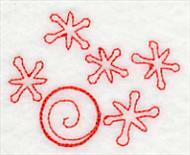 Use these designs to make your own stack or add as an accent in conjunction with the stack designs above.